Interesting medieval village in the province of Forlì-Cesena, Civitella di Romagna is located on the right side of the river Ronco-Bidente, at the foot of the hill Girone. It was the main centre of three smaller municipalities till 1891: Civitella, Predappio and Mortano. The name has clear Roman origins, "Civitatula" (small town or citadella). 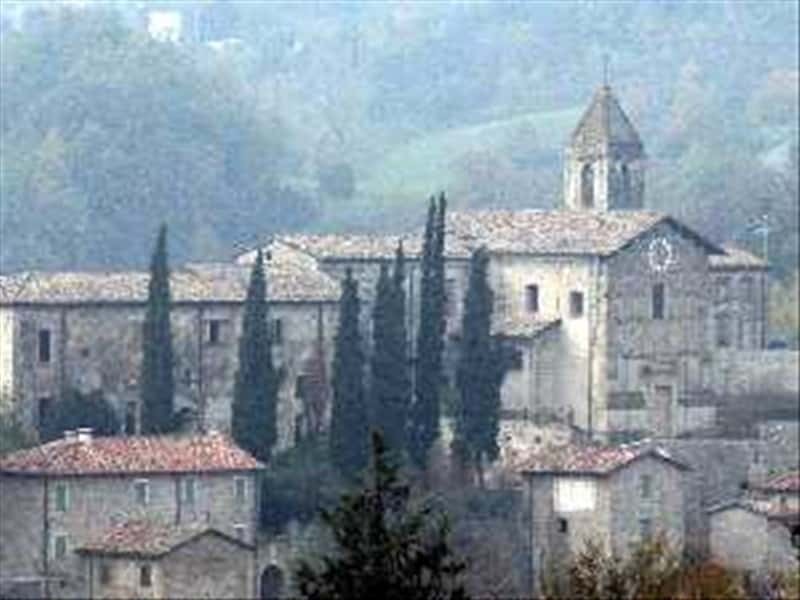 The town was mentioned for the first time in a document of 996 as a possession of the Church of Ravenna, then became a fiefdom of the Counts of Giaggiolo. Subsequently over the centuries, it was ceded to the Manfredi of Faenza, the Malatesta (1462), Napoleone Orsini and to the Venetians of the Duke of Urbino. In the XV century, the territories were incorporated into the Papal States. - the Church of the Castle, entitled to St. Anthony, the oldest in the town, dating from the XVII century, inside which are preserved valuable Baroque decorations. This town web page has been visited 27,245 times.